Can Apple Continue to Compete Against Samsung? We wrote an article yesterday asking whether or not Apple was in trouble as the consumer focus turns to RIM and its BlackBerry 10 operating system. The question needed to be raised, especially among reports that Apple was cutting supply for the iPhone 5 due to cooling consumer demand, as its stock fell and as RIM's share price jumped on excitement for BlackBerry 10. At least one analyst has already rebutted the rumor of declining demand for the iPhone 5, but the situation raised another question entirely: can Apple keep up with Samsung? Your first reaction is probably "yes, of course it can." But you need to remember that Apple is fighting a multifront war. 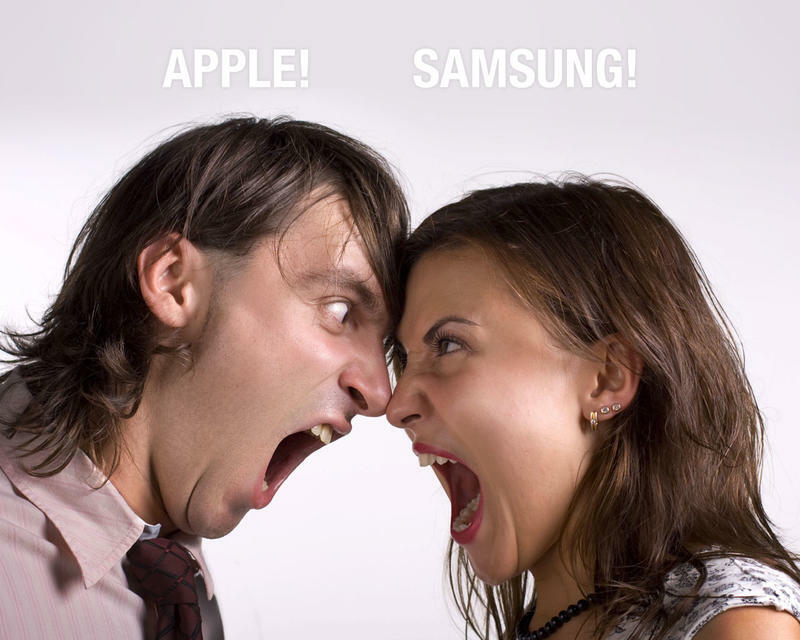 It's not only battling against Android, but against every phone maker that makes Android devices. Then we need to toss BlackBerry 10 and Windows Phone 8 into the mix. It's a huge battle, and any increase in market share from competing platforms has the potential to eat away at Apple's share. Here's why I'm worried, and why I'm asking the question in the first place: Apple releases one phone a year. This has worked in the past, but its competitors are gunning hard and fast. Samsung released the Galaxy S III and the Galaxy Note II this year, and those are just two flagships in its family of Galaxy-branded smartphones that were launched around the world. We're about 6 months out from the iPhone 5 announcement. That means some consumers are starting to wonder if they should just "wait for the next one" instead of buying the existing iPhone 5. That's not good for Apple, not when new phones are being released seemingly every week. What if those consumers get antsy and decide to go with Android, Windows Phone 8 or BlackBerry 10 in the meantime? Part of me wonders if Apple shouldn't start releasing more than one phone a year, or maybe teasing new iOS features ahead of time. That would satiate the consumer's need to see what's coming next. We're guessing that Apple's iPhone 5S will be an incremental upgrade to the iPhone 5, much like the iPhone 4S was a slight upgrade from the iPhone 4, and the iPhone 3GS was a slight step above the iPhone 3G. In other words, Apple's big upgrades only occur every two years. That's too slow in this phone market. You only need to look at Android 4.2 Jelly Bean to see how fast Google and its partners are moving. Two years ago we had Gingerbread, which by today's standards is hardly usable. My point is that Apple's competitors, namely Samsung, are moving incredibly fast to beat Apple to the next innovative punch in mobile. We won't know what Apple has up its sleeves for another six months, and that's likely long after Samsung introduces and starts building hype around the Galaxy S IV. HTC, LG, Nokia, Motorola and others will no doubt have new handsets on display, too. I think Apple can hold its own, especially when it comes to hardware design, but I worry that a simple "iPhone 5S" jump won't be enough to keep the iPhone competitive until the iPhone 6 launches. It's certainly coming down to a software battle, though, so iOS 7 still has the potential to push the boundaries.